Following on from last weeks blog post, we thought this week we would discuss remedial works for if your emergency lights do fail during a test. According to BS EN 1838:2013, Emergency Lights should stay luminated for a minimum of 1 hour. However this does vary between the size and complexity of a premise. For example, 1 hour duration should only be used in premises which can be evacuated immediately. 3 hour duration emergency lights should be used in premises which will not be evacuated immediately e.g. sleeping accommodation. A risk assessment should determine the required duration. The competent person should also update your log book with the repairs which have been carried out. Here at Fulcher Edwards, your local, reliable and trustworthy electricians in London, St Albans and Hertfordshire, we also issue certificates of repairs to show due diligence. 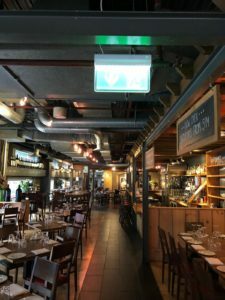 This week we have carried out emergency lighting remedial works in a restaurant in London. Their 3 hour testing highlighted 30 failed luminaires! This could have caused potentially serious visibility issues during the event of an emergency. We hope this emphasises the importance of testing your emergency lights, but also carrying out repairs if necessary. If you require assistance with the testing of your emergency lights or remedial works then please do not hesitate to contact us HERE. Last week our Electrician Barry spent 2 days carrying out emergency lighting testing in a school in North West London. We carry out maintenance works for a variety of schools across London and Hertfordshire. Our Electricians are DBS checked and can attend during school holidays if preferred. Emergency lighting is a legal requirement for all businesses and organisations as defined by the Fire Regulatory Reform Order 2005 and British Standards BS 5266 Part 1: 2016 (Code of practice for the emergency lighting of premises) and BS EN 1838. Emergency lighting is a back–up for when the main power supply cuts out, resulting in darkness. This could present a danger to the occupants of a building. Therefore emergency lights must operate automatically in all circulation areas and escape routes. They must also be adequate for people to see clearly enough to navigate obstacles and find a way out of the building safely. Emergency Lighting should be inspected and tested at regular intervals. A monthly function test should be carried out in-house or by a professional. 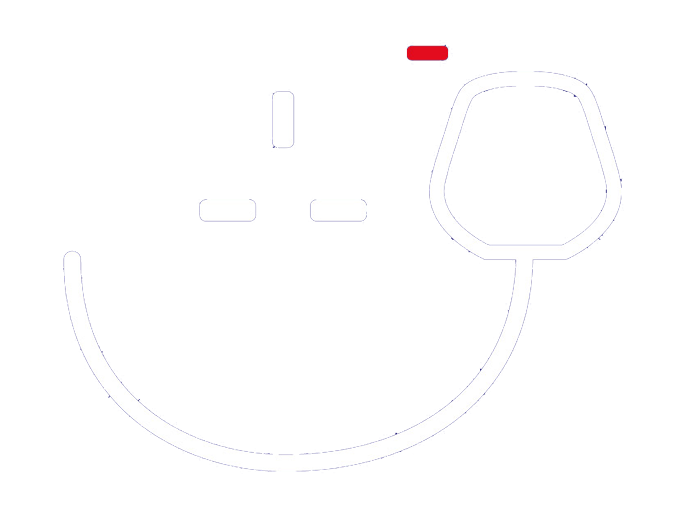 A full 3-hour duration test should be carried out annually by a professional. A certificate should also be issued for your records. Emergency Lighting testing needs to be documented into a logbook. An Emergency lighting logbook provides the facility to record alterations, repairs, maintenance, and inspection and testing of emergency lighting installations. It will also provide details of the certification issued. The maintenance company carrying out the yearly emergency lighting testing should supply you with a logbook. If you require emergency lighting testing at one of your properties then why not contact us HERE for a free quote? If you choose Fulcher Edwards to carry out your emergency lighting installation or maintenance in St Albans, London and Hertfordshire, we can provide you with a logbook, certificate for your records and training if required. We can also assist with any remedial works that may be necessary to keep you compliant with British Standards. What Is There To Know About Lot 20? Last Friday we saw students across the country take part in a global campaign for action on climate change. It was inspiring to see children of all ages walking the streets urging the government to declare a climate emergency. Equally, it’s disappointing that students feel they have to miss out on their education time in order for the government to take action. Especially as they are suffering for the previous generation’s mistake. Despite the fact that majority of the harm has already been done, most of us are trying to take little steps forward to slow down the damage which is being done to our planet. Electric cars are all the rage with Audi most recently revealing their first electric model – the E-Tron. 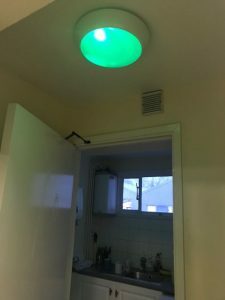 Within our homes we are reducing our plastic usage, using energy efficient lighting, and an initiative which has most recently come to my attention… Lot 20. As of January 2018, a new EU legislation was put into effect called Lot 20. Lot 20 aims to reduce energy which is produced from sources which use electricity, gas, or liquid fuels to heat our homes and work spaces. According to Ecodesign half of the energy used within a household goes towards heating the space and water. Therefore improving on energy efficiency within these areas should drastically reduce our carbon fo otprint. Therefore as of January last year, manufactures will no longer be able to produce the above products if they do not meet the new energy efficient standards. Products produced before this time period will still be able to be sold and used. Eventually that stock will sell out and only new compliant models will be available. I think it’s great to see that more and more companies are making changes to assist with carbon reduction and hitting energy targets. If you’re a supplier, installer, or customer you can check whether your product is compliant to Lot 20 HERE. Please do not hesitate to contact us HERE for assistance with electric heater installation in St Albans, London and Hertfordshire, or any other electrical services which we provide. Dont Let Fire Ignite Your Valentines Day! 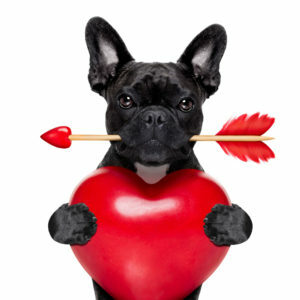 The day of love is just around the corner, with teddy bears and chocolate covered hearts already filling the shelves. I am of course talking about Valentines Day! The day to show your partner, friends, or even family just how much they mean to you. If you prefer to keep your Valentines Day celebrations slightly more low-key and choose to avoid over-crowded restaurants with expensive set menus, then having a romantic meal for 2 at home is the best solution. However don’t let your passion ignite real flames in your home! Candles are perfect for creating a romantic atmosphere, however they can often be a common fire hazard. Therefore its important to never leave a candle lit unattended. Always blow the candle out before leaving the room or house. If you’re lucky enough to have a fire place in your house, what could be more romantic than snuggling up in front of the fire? However you need to be aware of the hazards of an open fire. Its always a good idea to have a fireguard. Furthermore, keep any flammable materials and pets away from the fire place. If you like to treat your loved one to a home cooked meal then be sure not to spoil it by burning it! Consider using a timer so you cant forget about your meal in the heat of the moment. Remember to also make sure to turn off the stove/oven when you have finished using it. Also keep any tea towels and flammable material away from a hot stove. If you want to spoil your partner with the latest gadget. Always buy a genuine product from a reputable retailer. This also includes buying a genuine charger. Many fires are caused by counterfeit/cheap products and chargers as they haven’t undergone thorough safety checks. Finally, make sure you have a working smoke alarm in your property. Its best to test your smoke alarm weekly to make sure its working and will alert you if a fire occurs. Sometimes fires starting can be out of your control, but a working smoke alarm can be the difference between life and death. Wishing everyone a lovely Valentines Day with their special someone! Please do not hesitate to contact us HERE for all your electrical needs. Fire alarm maintenance is one of the many services we provide at Fulcher Edwards Ltd. Furthermore, we have proudly been BAFE accredited for the past 3 years. Though how m any of you are aware of what BAFE is? BAFE are the independent registration body for third party certified fire protection companies across the UK. Through regular audits and thorough inspections they ensure that companies providing fire protection services are competent and meeting quality standards. You can find your local BAFE registered company here. Therefore, with all this in mind it is a good idea to contact BAFE registered companies when requiring fire protection services at your premises. Many insurance companies are now insisting their clients only use companies with BAFE accreditation. So now you know what BAFE is, but are you aware of the fire safety responsibilities in your company? Take a read below to find out! Firstly, ensure there is a responsible person for fire safety on the premises. The responsible person can either be an employee who is appointed to the role, or alternatively it falls to the employer/person who controls the premises. The responsible person should carry out a fire risk assessment of the premises. The fire risk assessment will highlight precautions and actions which need to put into place, these assessments should be recorded and regularly reviewed. Especially if the building layout changes. Ensure there is appropriate fire fighting equipment on the premises. E.g. Fire extinguishers, fire blankets, etc. There should be an adequate amount of fire alarms/smoke detectors on the premises. Regular maintenance of the alarms/detectors is important to ensure they are working correctly at all times. The responsible person can carry out weekly tests on the fire alarm call points. They should do this by triggering a different call point each week to sound the alarms, and then recording this test for due diligence. Furthermore, a company which carries out fire alarm maintenance can test the alarms every 6 months. This will be a thorough test of the whole system and the engineers will also carry out battery maintenance on the alarms. An alarms battery should be able to stay in standby for 24 hours and then ring constantly for 30 minutes without failing. Emergency exits out of the building which all members of staff are aware of. Emergency exits should be illuminated with emergency lights and the running man exit signs. Furthermore, a company such as Fulcher Edwards can install the emergency lights and maintain them for you. If you would like further guidance and details on fire safety responsibility in your premises, it would be worth reading the Regulatory Reform Order (FSO) 2005. The FSO is the legislation for fire safety in non-domestic premises in the UK. Please do not hesitate to contact us here if you would like further guidance on fire alarm maintenance, emergency lighting maintenance, and all other electrical services. Electrical DIY – Should you do it yourself? When it comes to DIY, many people think that it is cheaper to do it themselves not realising the financial and safety implications involved. What can on the outset look like a relatively easy job, could turn out to be far more complex! That is why it is always best to leave it to a qualified, experienced electrician in London. Below you can check out an infographic that reveals some worrying results about DIY electrics and also to highlight the serious consequences that this can have. 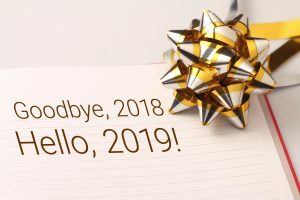 Goodbye 2018, and Hello 2019! With less than 2 weeks left of 2018 its hard to believe quite how quick this year has gone! Is it just me, or do the years seems to be going quicker? I always enjoy reflecting on the year and thankfully, its been a consistently good year for Fulcher Edwards! Therefore as this will be the final blog of the year, lets wrap up 2018 as well as share what you can expect from us in 2019! Firstly, we are pleased to say we passed our BAFE, NICEIC, and SafeContractor audits for another year. Each year these audit accreditations really test us, however they’re well worth the effort! We are pleased to be able to put our name against the BAFE, NICEIC, and SafeContractor logos, as they underpin Fulcher Edwards core values. These accreditations give our new and existing customers that extra guarantee that we will always provide a high level of service. Marketing is always a key focus for us each year, like every business! However this year we have particularly focused our efforts onto gaining local business. Due to redevelopment within Waterloo station we have had to relocate our offices to St Albans, Hertfordshire. Fulcher Edw ards still predominantly works within London, however it would be great to extend our electrician services out to St Albans, Watford, and surrounding areas within Hertfordshire. Many marketing letters have been sent, blog posts have been written, and social media posts created to promote Fulcher Edwards – electricians in London and Hertfordshire! This will carry on into 2019. Each year you gain some, and you lose some. We have gained some great customers this year as well as maintain relationships with existing customers. On the other hand, we have unfortunately lost customers due to circumstances beyond their and our control. 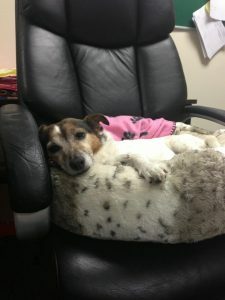 Sadly we also lost our office dog Mollie earlier this year. You may have seen Mollie on previous social media posts. The FE team greatly miss Mollies wagging tail in the office. Fulcher Edwards also focused its efforts onto fundraising this year. We hosted a Macmillan Cake Sale on our business park back in September and raised £172.65! We also made donations towards #jeansforgenes and will be making our annual donation towards the charity Debra. For the past few years we have decided to save money on buying/sending Christmas cards and instead donate that money to Debra each Christmas. Looking into 2019, we are getting ourselves ready for the current biggest change in the electrical industry – the 18th edition regulations! We are also looking forward to welcoming a new engineer to the Fulcher Edwards team in January. The Fulcher Edwards team have their work Christmas party tonight. We’re looking forward to being wined and dined, and raising a glass to another good business year! We would like to say a big thank you to our new and existing customers for your continued support, as well as wish you all a Merry Christmas and a Happy New Year! Our doors will be closing at 12pm for Christmas today. They will not re-open until 9am Thursday 3rd January 2019. Please do not hesitate to contact us HERE for all your electrical needs in 2019. Deck The Halls Safely This Christmas! We’re well and truly in the festive spirit here at Fulcher Edwards, your local, reliable and trustworthy electricians in London and Hertfordshire. As thoughts are now turning to decking our ‘halls’ with an array of decorations and lighting effects (and maybe some boughs of holly!). We are receiving many calls to help source and repair electrical problems in homes and businesses in London and Hertfordshire. 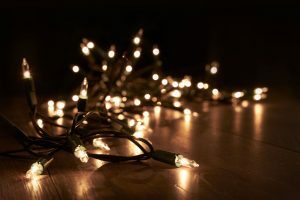 In the run up to Christmas we get a lot calls and find that in many of these cases, Christmas lighting has been installed incorrectly – with too much reliance on extension leads or adapters plugged into adapters. Of course Christmas doesn’t need to turn into an electrical nightmare, and don’t forget all that electricity requires is a common sense approach. We thought we’d share with you some essential electrical safety tips to keep you and your family or business safe over the festive season. 1) Always purchase Christmas lights from reputable sources. Many Christmas lights are sold second hand on nearly new websites and car boot sales. Buying second hand means you don’t know if the item is safe to use or even if it works or not. Christmas lights don’t need to cost a fortune but they do need to meet minimum electrical safety standards. 2) Use an RCD – if your home does not have an RCD installed already, it makes sense to use an RCD plug for your Christmas lights. It will immediately cut the electrical supply if there is a problem with the lights. If you are installing lights outside, ensure that they are suitable for outdoor use- the products will tell you whether they’re suitable for outdoor use or not. Don’t ever be tempted to use extension leads designed for indoor use outside. All electrical outdoor lighting should be connected to an outdoor socket. 3) If you need additional sockets either indoors or outdoors, consult a Part P registered electrician in London or Hertforshire. Don’t try to do this work yourself. There are more fires this time of year due to unsafe Christmas lighting than at any other time of year. 4) Always follow the manufacturers instructions on how to use the electrical lighting safely. 5) Think about where you are going to install your lighting – keep out of the reach of children – particularly electrical sockets and lighting on trees. A curious toddler will like nothing more than tipping your Christmas tree over to study the lights! Never situate your lights in the way of pathways, and ponds. 6) Select Christmas lighting with low voltage bulbs. Most modern Christmas lights are low voltage which means they won’t heat up with continued usage. If you own a set of old fashioned bulbs, now is the time to replace them. Lastly, don’t forget to check your lights work before hanging them up! Also take care on any ladders. We cant promise to arrive in a one-horse open sleigh, but please do not hesitate to contact us HERE for any assistance with your electrical needs this Xmas. How to Save Money This Christmas! Saving money and Christmas don’t go exactly hand in hand with each other. 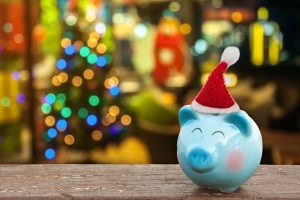 However, Christmas doesn’t have to be a huge spending frenzy and it is possible to save money, particularly on your energy bill this Christmas. Fulcher Edwards – your local, reliable and trustworthy electricians in London and Hertfordshire, tell you how you can save money on electricity and other energy in your home without going without – and your guests will never even know! Don’t get us wrong, we’re the first in the queue for Christmas fun and parties, and after a year of working hard helping our lovely customers with their electrical needs, we certainly know how to enjoy Christmas. Here we have some handy tips on how to save energy in your home this Christmas – oh and we might even have some handy present tips for those last minute stocking fillers – ho ho ho! We say this often because it really is an easy low cost way to save a packet on your electricity bill. If you don’t already have energy saving light bulbs in your home, you’re missing a trick! Energy saving light bulbs come in a whole range of sizes, including the same shape as a regular incandescent light bulb. If you are thinking of adding a few festive lights outside, you will be pleased to know that there is a growing range of solar powered Christmas lights which will cost you nothing to run and can charge up even in the smallest amount of sunlight we get at this time of year. Also why not consider buying an energy meter for your home? Its a great way to keep track of the energy you’re using in your household. If you are buying electrical appliances and gadgets for loved ones this Christmas, did you know that many are now Energy A rated? Look out for the label on electrical items which show you how energy efficient they are. You need to be looking for Energy A as a minimum (there are also now A+ A++ and even A+++) this will mean that not only is the electrical item energy efficient it will also cost less to run. Looking for a great idea for stocking fillers? The shops are filled with tacky presents which will either get lost or broken in no time. Therefore why not give an Eco gift? Its something different and will save money! You can buy eco versions of hair dryers, coffee machines and kettles. There are also solar versions of mobile phones, watches, laptop chargers, toys and radios which require only the sun to power them. For camping and outdoor enthusiasts you can discover wind up torches and radios as well as water powered digital clocks. With all the extra guests you have over Christmas, its a great time to turn your central heating down a couple of degrees. No one will notice – the heat from the cooking the turkey as well as the additional body heat will more than compensate for the heat reduction. You will certainly notice the difference on your energy bill though in the New Year! Furthermore, underfloor heating is great energy efficient way to heat your house! 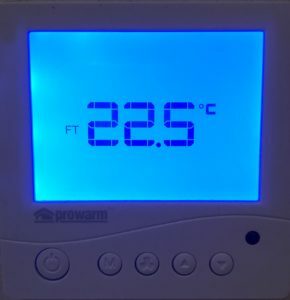 There is an initial expense with the installation, however you will find it distributes heat more evenly which makes your house nice and cosy, and you wont even have to have your radiators on! One of our customers even removed some of the radiators in their house after having underfloor heating installed, leaving more room for Christmas decorations! For the eco conscious amongst us, there are other ways of saving energy when cooking the all important Christmas dinner. Turn off the ring before your vegetables have finished cooking. Heat from the water and the steam will keep the vegetables hot for some time and is a great way of finishing them off completely free! Steaming is also a great way of healthy cooking and it uses less water and keeps the essential vitamins and nutrients within the food. Fire Alarm Maintenance is Your Business! Responsibility to fire safety doesn’t just end once you have had a fire alarm fitted on your premises. 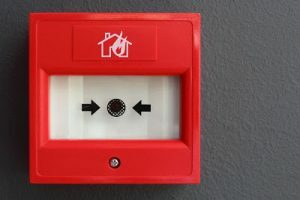 If you are a Business Owner or Landlord in London or Hertfordshire, it is also your duty to make sure the fire alarm system is being maintained correctly. The Regulatory Reform Fire Safety Order 2005 (FSO) states that the ‘responsible person’ has the duty of maintaining the fire alarm on your premises. The FSO is the primary legislation for all non-domestic premises in England and Wales. Therefore failure to comply with the FSO is an offence punishable by hefty fines or imprisonment. A non-domestic premise includes workplaces and commercial premises, public premises, and common areas of multi-occupied residential buildings. Who is the Responsible Person? You can have more than one responsible person on the premises and therefore those two people will have to work together. What are the duties of the Responsible Person in my Company? How often should my fire alarm be tested? We recommend that you test your fire alarm weekly and then keep record of the tests in a log book. Furthermore, British Standard 5839 recommends that your fire alarm is serviced every 6 months by a ‘competent person.’ If your premises is very large then quarterly might also be best. Who is a competent person and do we need one? A competent person is somebody who is fully trained and qualified to inspect your Fire Alarm. This is a service we can provide at Fulcher Edwards. As your chosen contractor we would be able to give you advice and provide relevant in-house training. We would also carry out a high level of fire alarm maintenance that your premises requires. To discuss your fire alarm in London and Hertfordshire needs further, or for a free quotation, please contact us HERE. Fulcher Edwards Ltd., Unit 2D Horseshoe Business Park, Upper Lye Lane, Bricket Wood, St Albans, Herts AL2 3TA. Company Registration No.3351662, VAT No. 789940260.